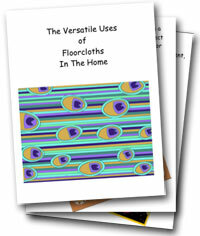 To download your free copy of The Versatile Uses Of Floorcloths In The Home simply click on the image below. You may need Adobe Reader to download as a pdf. If you have any trouble with your download, please email me at anniehorkan@gmail.com and I will help you.